» Is Survey Money Machines A Scam Or Make $200/hr? Is Survey Money Machines A Scam Or Make $200/hr? 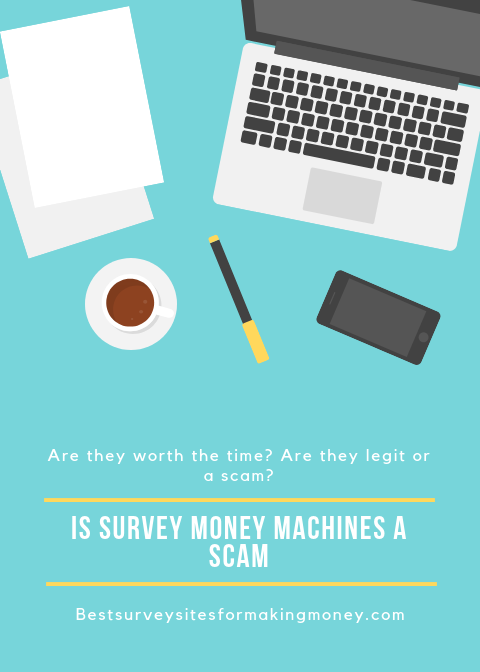 So you are wondering whether Survey Money Machines is a scam or a genuine opportunity to make money with. Let me start by saying that completing surveys can be a good way to make money and most of the time it will only take you 5 to 10 minutes to do. However making a full time income is not possible with these kind of opportunities. Obviously it does depend on what sites you use as not every survey site is legit, so its great that you are here so I can give you my honest opinion on this site. Before I get underway with the review if you are looking for a top notch survey site that pays well above any of the other sites I have tried then check out my recommendation below. What Is Survey Money Machines About? Survey Money Machines is a website that shows you reputable survey sites for making money. They aren't a survey panel themselves but instead show you other sites out there where you can get paid for your opinions. They are owned by someone called Hailey Gates, this is interesting as you don't normally find a specific person who owns the company. Most survey panels are run by other market research companys, but then again this one isn't a survey site. I have tried out sites just like this one such as GetPaidSurveys and Survey Spotter which work the same. Again these companies don't pay you directly instead you will get paid when you complete the surveys with their partners. Your probably also wondering what is the point of the site if all they do is refer you to other sites. The site does affiliate marketing so when someone clicks on one of their links they will receive a commission. As you can tell already the site is quite useless and is essentially just a sales funnel set up for the company to make money. As I have mentioned you will be able to start making money once you have clicked on the links to the other survey sites they recommend. Once you have signed up to these panels you will start receiving invites to surveys which you will be able to complete in exchange for rewards. By completing surveys you will be earning points that can then be used to redeem gift cards and cash. If there's one thing that I noticed that is good is the survey sites they recommend are legit and don't cost any money to sign up for. Which means you can sign up to them and try them without losing money. As you can probably tell from the first page they do hype it up a lot and make it seem like a must use way to make money. If you look at the testimonials on the side some of them say how they are earning $200 a hour. Its worth saying that making that amount of money in this industry is unheard off, in fact I would go as far as saying its impossible. You can make extra cash of course and you could make around $500+ a month if you join some of top ones but making 3 digits a hour is not possible. 2. Very Easy Way To Make Money? Following on from the last point the messege it seems they are trying to tell you is that you can make very easy money completing surveys. Now if you have tried survey sites before you will probably recall that at times it can be quite stressful. Whether that is getting disqualified mid way through a survey or just not having that many opportunities available to you. The point I'm making is that survey sites will earn you some extra cash but you can't go in with the mentality of making $5 an hour as admittedly you will lose time because you aren't a fit for certain types of surveys. That's just how the industry is as market researchers are looking for certain demographics and insights on their products and services. No, Survey Money Machines isn't a scam however they aren't much use to you. They do show you survey sites that are legit however what you could do instead is type survey sites into google and you would find a whole host of them appear. So you don't have to give away your email for a secret list of panels like they claim here. If you want to skip that site and check out some survey panels that I have had success with over the years and made some extra cash in my spare time then check out this top rated survey sites list here. What do you think to Survey Money Machines? Have you had any experiences with them? Previous Post Is Easy Retired Millionaire A Scam Or Automated Cash Machine? Next Post Is My Freelance Paycheck A Scam? – A ‘Sneaky’ Company With Upsells?